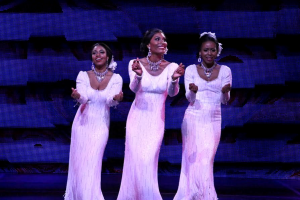 The 1981 Broadway musical Dreamgirls was a surprise hit given the three men responsible for creating it. Book writer/lyricist Tom Eyen came from avant-garde off-Broadway theatre—The Dirtiest Show in Town, Women Behind Bars. Composer Henry Krieger had worked with Eyen on the off-Broadway revue The Dirtiest Musical in Town. It was Krieger’s first Broadway credit while Eyen had written and directed Rachael Lily Rosenbloom and Don’t You Ever Forget It which had seven preview performances in 1973 but never officially opened. Choreographer/director Michael Bennett was a different story. His production of A Chorus Line in 1975 won 9 Tony Awards and would eventually be the longest running musical on Broadway (sadly eclipsed now by lesser musicals). Bennett followed that success with the under-rated and short-lived Ballroom. Undoubtedly these three men were heavily influenced (as was/is this writer) by the 1960s Motown sound as they created a memorable piece of theatre that won 6 Tony Awards and ran over 1500 performances. Jennifer Holiday, Sheryl Lee Ralph, Loretta Devine, Cleavant Derricks, Obba Babatunde, Ben Harvey and David Thome were in the cast. 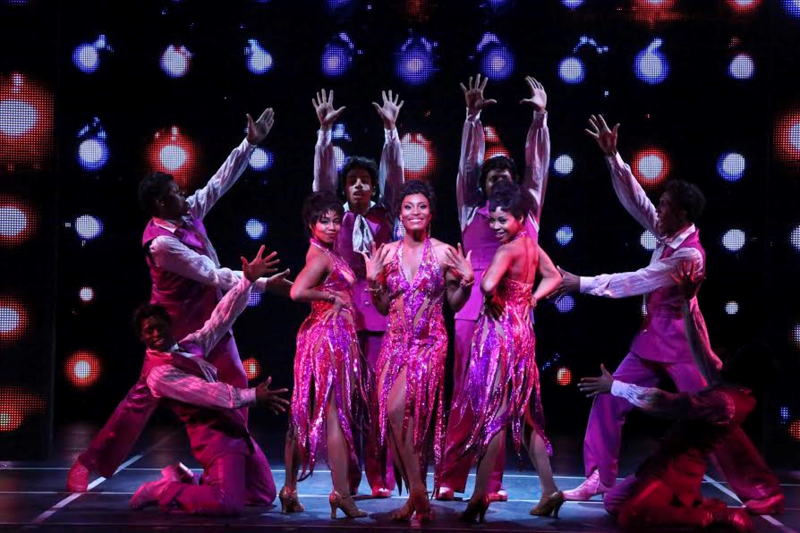 The show, with most of the original Broadway cast, played the Shubert Theatre in Century City in 1983 where this writer first saw it. 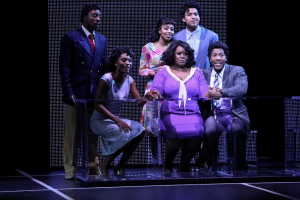 There have been memorable local productions in the years since, two by the Long Beach Civic Light Opera and a truly stunning revival by Civic Light Opera of South Bay Cities. Now McCoy Rigby Entertainment and Key Brand Entertainment is presenting a flashy newly staged revival at the La Mirada Theatre for the Performing Arts. If you have never seen the show, or if you are a big fan of it, don’t miss this outing. I Am Telling You, You Won’t Be Disappointed. Eyen’s book is a thinly veiled take on Berry Gordy, Motown Records and most especially The Supremes and Diana Ross. 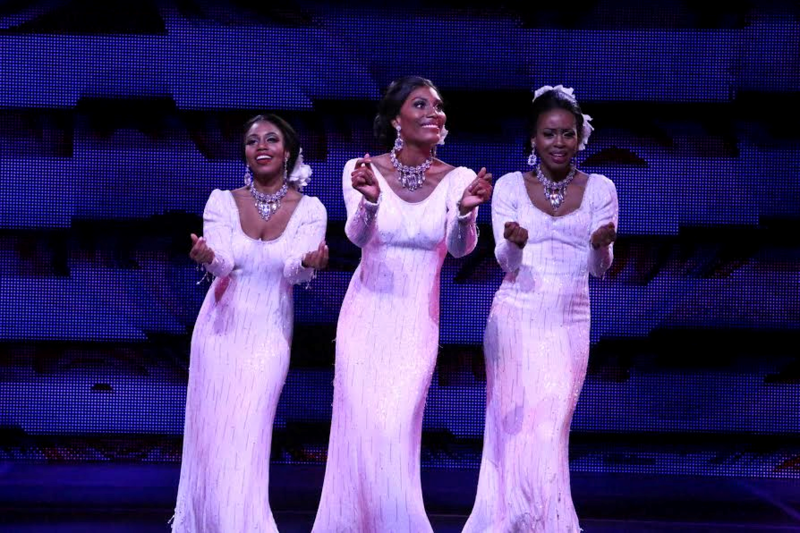 The Dreamettes (Effie-Moya Angela, Deena-Jasmin Richardson and Lorell-Brittney Johnson) are a singing trio fresh from winning an amateur contest in their native Chicago when they perform in a contest at Harlem’s fabled Apollo Theatre in 1962. They lose the rigged contest but do pick up a manager—the super slick Cadillac salesman Curtis Taylor Jr. (Scott A. 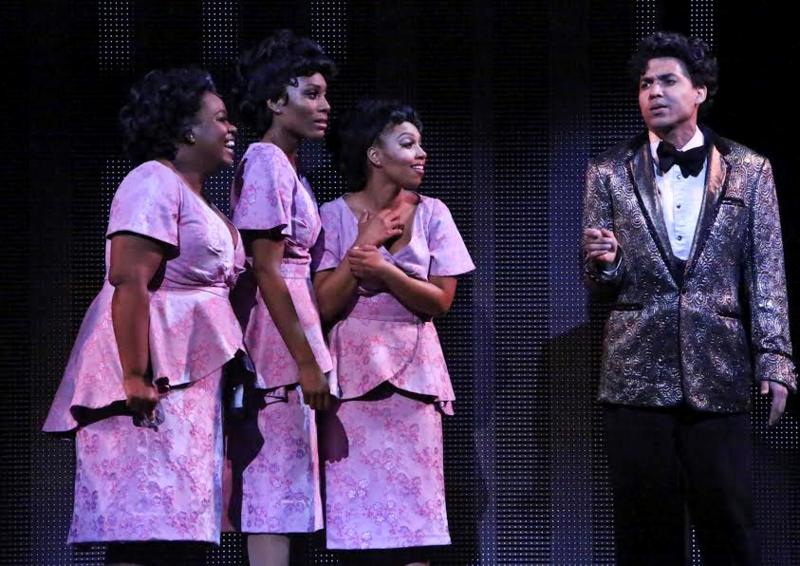 People)–as well as a touring gig as backup singers to R&B superstar James “Thunder” Early (David LaMarr). Curtis also takes Effie’s brother C.C. (John Devereaux), who writes their songs, under his wing. Soon Curtis is ousting Early’s longtime manager Marty (Lorenzo T. Hughes) as he changes Early’s act to make it more mainstream and less threatening to white audiences. But the girls, his Dreams, get most of his attention as he plans to make them a crossover sensation and Deena one of the world’s biggest celebrities. Sound familiar yet? Effie is kicked out of the group for throwing tantrums and gaining weight. The Dreams sound goes mainstream but soon Deena is longing for more relevance and wants a film career. C.C. bolts back to sister Effie and gives her an R&B song only she can sing the way he wrote it. Meanwhile Curtis has re-orchestrated the song as he attempts to create the disco dance music market with his version for the Dreams. 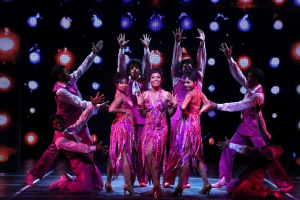 Payola, lawsuits, illegitimate children, show biz comebacks and a tearful farewell concert bring the 1970s and the show to a glorious, tuneful close. Robert Longbottom has choreographed and directed this latest production, retaining the essence of the original Bennett touches but adding his own flourishes. The tech is top rate starting with Ken Billington’s blazing lighting design and William Ivey Long’s eye-popping costumes. I doubt there is a sequin to be had in La Mirada for ready money. Robin Wagner’s scenic design relies heavily on the use of projections and the visuals are pow-bam fantastic. Musical director Dennis Castellano and conductor/keyboardist Brent Crayon have done an amazing job making the 11-person orchestra sound like four times their size. The cast of 22 is top notch also, in great voice and with lots of energy and moves to spare. Angela handles the diva-est of all diva moments, the Act One closer “And I Am Telling You, I’m Not Going,” like it’s the first time it’s ever been sung and generates a spontaneous standing ovation. Angela (later replaced by Danielle Truitt as Michelle), Richardson and Johson combine their voices for some of the smoothest sounds heard since the heyday of the Motown Sound. The men are also strong in their roles, especially LaMarr as “Thunder” Early. La Mirada Theatre for the Performing Arts, 14900 La Mirada Blvd. in La Mirada. Ends April 17. 562-944-9801 or 714-994-6310 or www.lamiradatheatre.com. Also runs May 6-8 at Valley Performing Arts Center in Northridge. 818-677-3000 or valleyperformingartscenter.org.